Woodland Park is home to the only bocce club in Seattle. Built on high-quality artificial turf, our courts reward your good aim and promote enjoyable play. 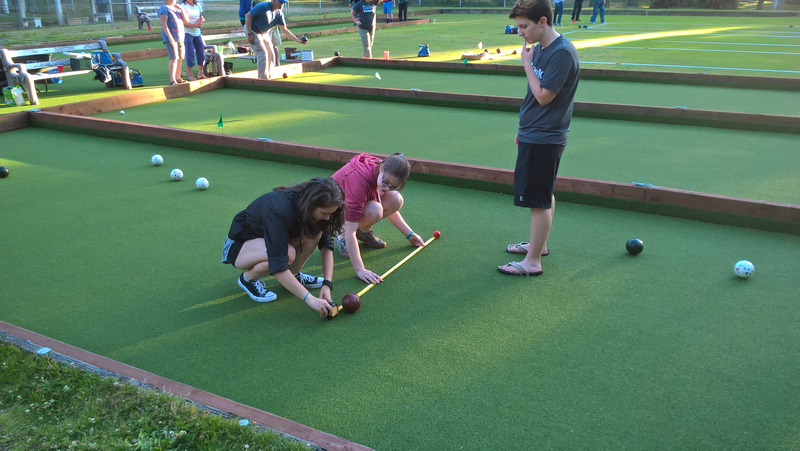 Come play on “open night” any Friday during the bocce season – from May through September. This is when club members serve as hosts to anyone who wants to learn the game. Once you develop a taste, become a member to compete in club tournaments, entertain friends at the club, and play bocce any time you like.Here is a list of annual club bocce tournaments and events. See the bocce events page for a more detailed listing.